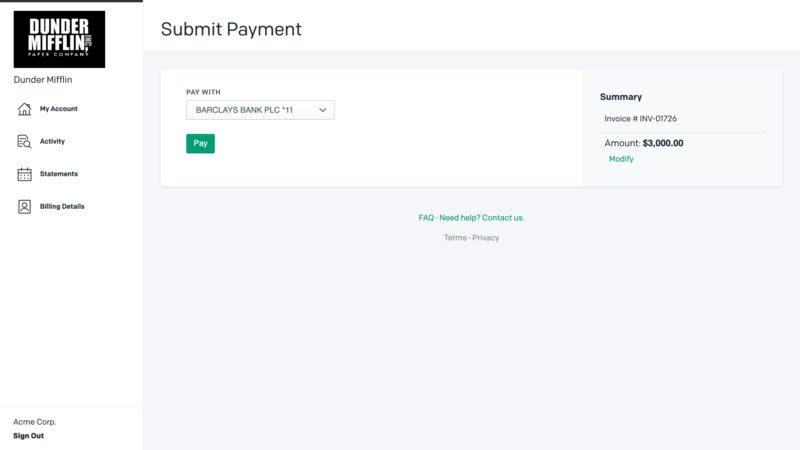 This document details how to connect GoCardless to Invoiced for accepting direct debit payments and how our integration works. Connecting GoCardless is a straightforward process. 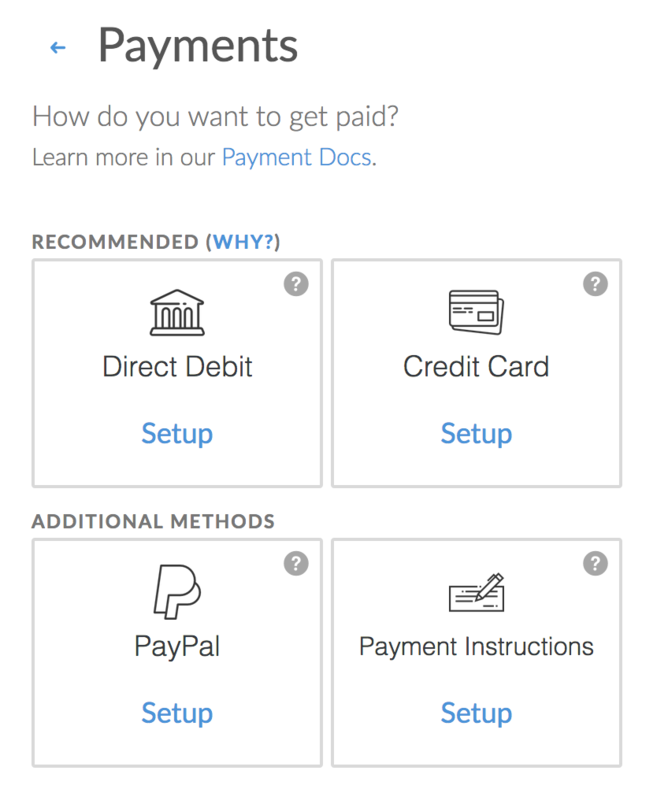 Follow these steps to start accepting payments through GoCardless in minutes. If you do not already have a GoCardless account then you will be able to create one during the setup process. Click Setup on the Direct Debit payment method. Then click Connect With GoCardless. You will be taken to GoCardless' website where you can sign into your GoCardless account and grant Invoiced access. 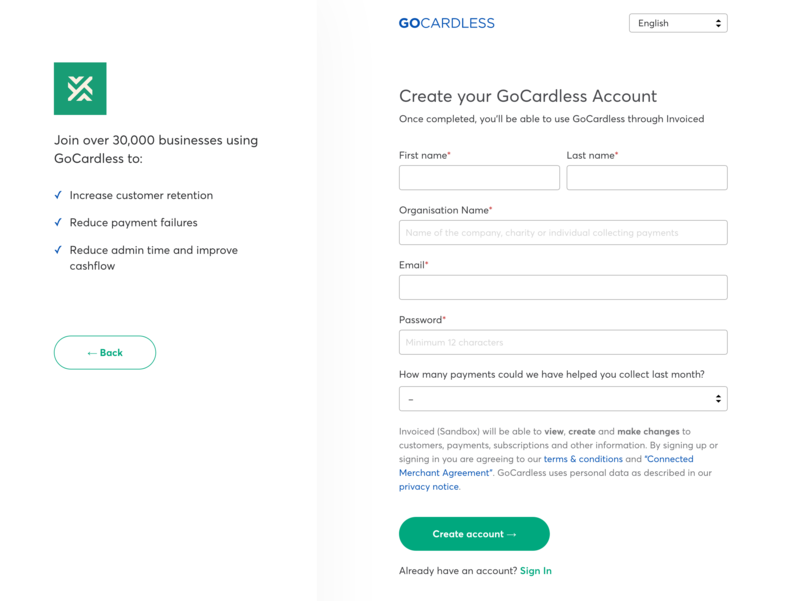 If you are signing up for a GoCardless account for the first time then you will need to provide additional information about your business to activate your account. 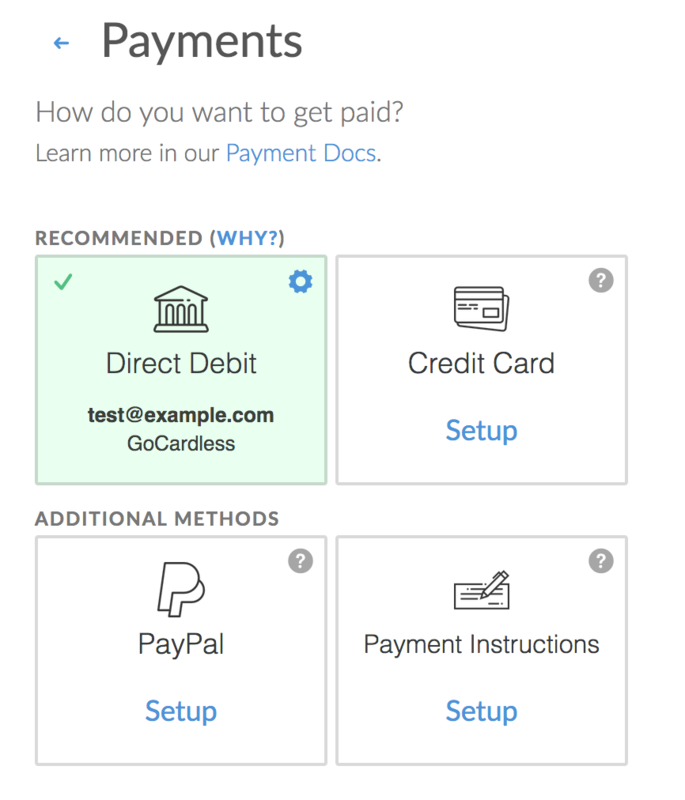 After you've connected and verified your GoCardless account then the direct debit payment method will be enabled. You are ready to begin accepting payments. NOTE: Your GoCardless account might have a dollar limit for individual direct debit transactions, i.e. customers cannot submit payments greater than £5k. You can see the transaction limits here by country and payment scheme. You just received your first payment through GoCardless. Congrats! Now what? GoCardless sweeps successful payments to your bank account automatically on each business day. Once you have received a payment with GoCardless the payout generally takes 2 business days after the customer's charge has completed. Direct debit payments are not instant like credit card payments. A direct debit payment will be marked as pending until the transaction has cleared. A direct debit payment is not considered paid until the transaction has cleared, which may take up to 4-5 business days. Once we have received acknowledgement of the status of the payment it will either be marked as successful or failed. Need help with your GoCardless account? You can get help from GoCardless' support website or contact GoCardless directly.